Frustrated about not being able to access geo-restricted contents? Worried about online safety, cybercriminals and hackers? Wondering how to keep online activity completely anonymous, private and secured? 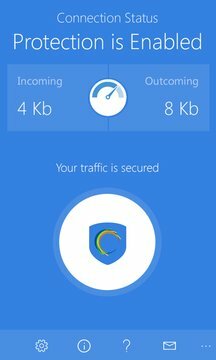 Install Hotspot Shield VPN – the World’s most trusted security, privacy and access app. * No Logs Kept: Hotspot Shield doesn’t track or keep any logs of its users and their activities. You are completely private and anonymous with Hotspot Shield. ⇨ Unblock any websites and apps – access geo-restricted content from anywhere on your device.